In celebration of spring, here’s an Earth conscious 3D printing project for the garden! Planning on beautiful blooms and vines of tomatoes in your backyard? Well don’t forget about housing the hardest working gardeners out there! At the height of the “Save the Bees” movement in 2015, Gwen Pearson, the Outreach Coordinator for the Purdue Department of Epidemiology, reminded us all Youre Worrying About the Wrong Bees. Her Wired article sparked the public awareness of “the 3,999 other bee species living in North America, most of which are solitary, stingless, ground-nesting bees” where the well known Honey Bee only makes up around 14% of crop pollination. The good news is, anyone can help solitary ground bees and turn their simple garden into a thriving ecosystem. 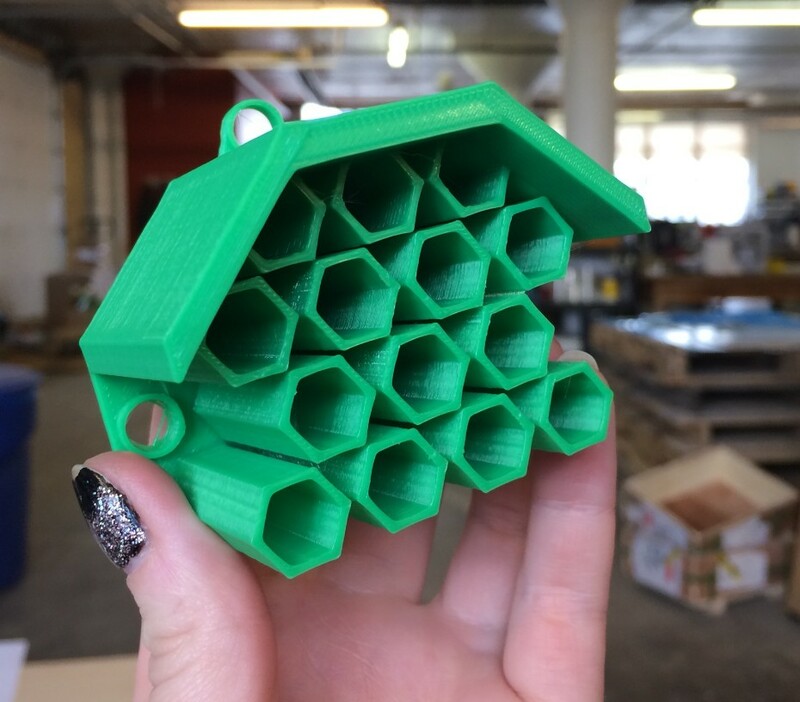 This simple bee house print can be found at MyMiniFactory.com here! We used PLA filament which is biodegradable with a pop of color, but for a more natural look our wood filament would compliment any yard. Both filaments can be found in our online shop. Happy spring making out there! This entry was posted in Uncategorized and tagged 3D Printed, 3dprinting, bees, filament, gardening, myminifactory, pla, projects.